Saturday morning is a great time for a plate of doughnuts, and with this mega size pan, you can make them all at once. This non-stick donut pan has 20 cavities, so there'll be plenty for even the hungriest crowd. Recipes for sour cream cake doughnuts, cinnamon sugar topping, plus chocolate and vanilla glazes are included. 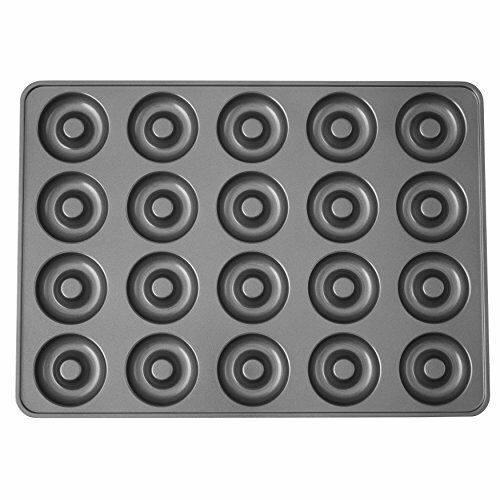 If you have any questions about this product by Wilton Perfect Results Non-Stick Donut Pan, 20-Cavity Donut Baking Pan, contact us by completing and submitting the form below. If you are looking for a specif part number, please include it with your message.